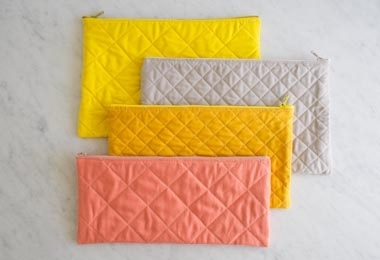 Our Quilted Zipper Pouches are fun to make, chic to behold, and handy to have around. And the most surprising thing about these little sacks is that they're totally do-able! 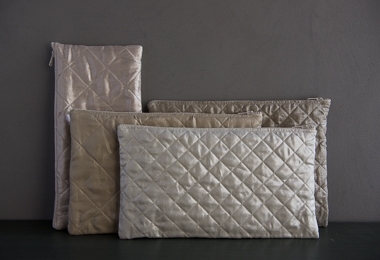 Our Quilted Zipper Pouches Bundle equips you with what you'll need to make four Pouches, in either a collection of Kona Cotton or Mineral Linen. Please click Product Details, above, for more information!